IAMA Theatre Company opens its 2018-19 season with a darkly comic celebration of the power of teamwork and unity to overcome adversity. James Eckhouse directs the Los Angeles premiere of American Hero, opening Sept. 21 in a Pasadena Playhouse guest production at the Carrie Hamilton Theatre. Performances will continue through Oct. 21, with low-priced previews beginning Sept. 15. 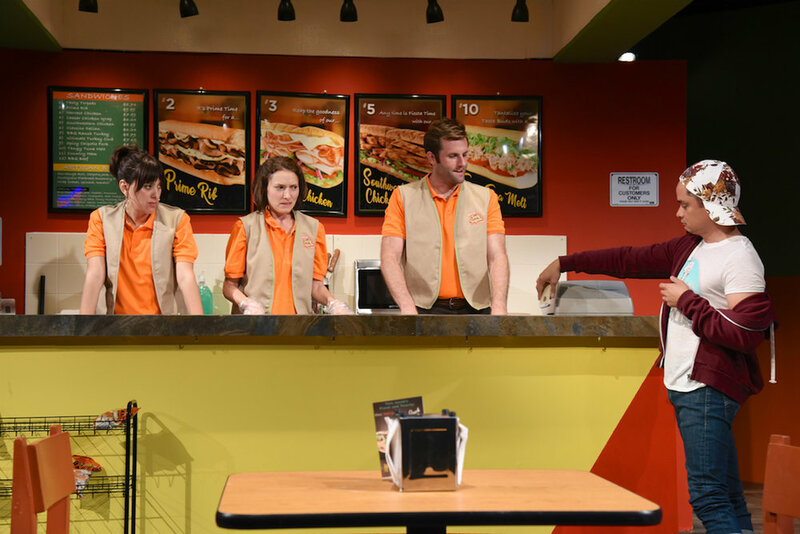 A franchise-owned sandwich shop becomes a microcosm of recession-era America in Wohl’s sharply comedic commentary on the struggles and perseverance of the American working class. When a trio of disparate and desperate “sandwich artists” at the local mall — an awkward young misfit (Laura Mann), a single mom (Anna LaMadrid)and a downsized refugee from corporate banking (Graham Outerbridge) — find themselves left to their own devices by overwhelmed franchisee Bob (Rodney To), they are forced into an unlikely alliance in order to keep the store, and themselves, afloat. The creative team for American Hero includes set designer Justin Huen, lighting designer Josh Epstein, composer and sound designer Peter Bayne, costume designer Melissa Trn and prop master Michael O’Hara. Jay Marcus produces, with associate producer Lexi Sloan, for IAMA Theatre Company. Bess Wohl’s plays include Small Mouth Sounds (Top ten of 2015 in The New York Times, The Guardian, New York Post and others); Barcelona; Touched; In; Cats Talk Back; the original musical Pretty Filthy, in collaboration with Michael Friedman and The Civilians (Lucille Lortel and Drama Desk nominations for Outstanding Musical). Her work has been produced or developed at Second Stage, Ars Nova, the Williamstown Theatre Festival, Geffen Playhouse, People’s Light and Theatre Company, the Contemporary American Theater Festival, Vineyard Arts Project, the Pioneer Theatre, Pittsburgh Public Theater, Northlight Theater, TheaterWorks New Works Festival, Ojai Playwright's Conference, Cape Cod Theatre Project, PlayPenn and the New York International Fringe Festival (Award for Best Overall Production). In 2015, Bess won the Sam Norkin special Drama Desk Award for “establishing herself as an important voice in New York theater, and having a breakthrough year.” Other awards and honors include the Athena Award for her screenplay, Virginia; a MacDowell Fellowship; and inclusion on Hollywood’s Black List of Best Screenplays. She is an associate artist with The Civilians, an alumna of Ars Nova’s Play Group, and the recipient of new play commissions from Manhattan Theatre Club, Hartford Stage and Lincoln Center. Bess also writes for film and television, and has developed projects for HBO, ABC, USA, Disney, Paramount and others. She is a graduate of Harvard and the Yale School of Drama. James Eckhouse directed IAMA Theatre Company member Jamie Wollrab in Tryptich Theatre’s production of Nocturne, and the world premiere of IAMA member Keliher Walsh’s The Year of the Rabbit. As co-artistic director of EST/LA from 1999 to 2001, he oversaw the development of over 20 new plays. He has directed productions at Atwater Village Theatre, Pasadena Playhouse, the Matrix, the Odyssey, the Lost Studio and the Electric Lodge. Television directing credits include episodes of ABC’s award winning series, Once and Again and Beverly Hills 90210. James won a CINE Golden Eagle award for his documentary, Protecting the Possibilities. His 35-year career as an actor includes performances on and off-Broadway, and at many of the country's regional theaters, as well as starring roles in over 50 television series and films. Recently he starred in IAMA Theatre Company’s critically acclaimed production of Redline and opposite Bryan Cranston in the Tony Award-winning Broadway hit, All The Way. He stars in the upcoming HBO web series High and Mighty as arch villain Doctor Knotts. James is best known to TV audiences as “Jim Walsh” on FOX's original series, Beverly Hills 90210. He is a proud member of IAMA Theatre Company. 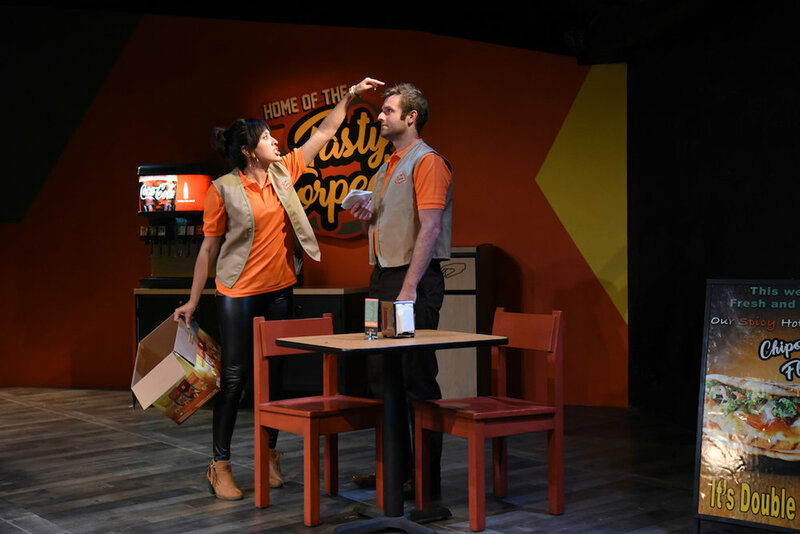 Designated by Playbill as “one of 20 regional houses every theater lover must know,” IAMA Theatre Company is a Los Angeles-based ensemble of artists committed to invigorating live performance for a streaming generation. Through cutting-edge, cool and hyper-modern stories, IAMA is invested in the immediacy of production and strives to bring audiences out of their personal space and into a shared experience. 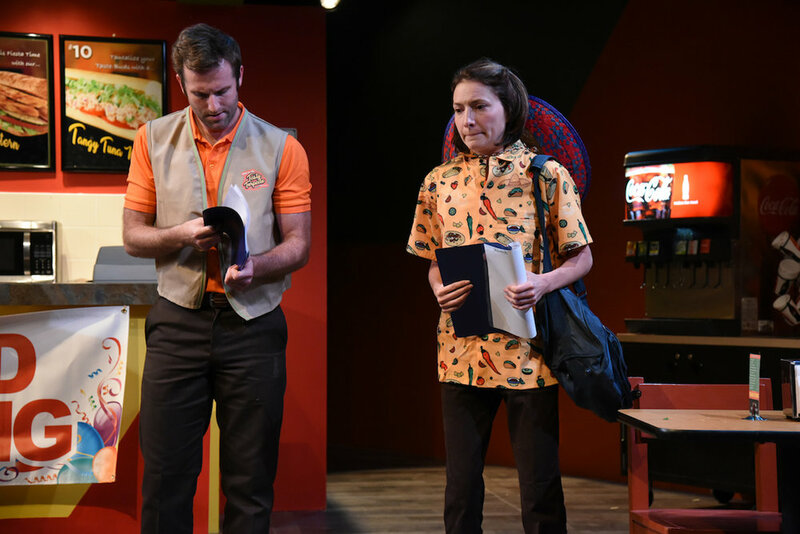 Plays generated at IAMA have traveled to off-Broadway, Second Stage and the Roundabout Underground, and have been performed regionally and internationally. IAMA members have been featured in numerous critically acclaimed TV shows and films as well as in a vast array of theater and live performances all over the country — currently, IAMA co-artistic director Katie Lowes and her husband, IAMA marketing director Adam Shapiro, are appearing on Broadway in Waitress. 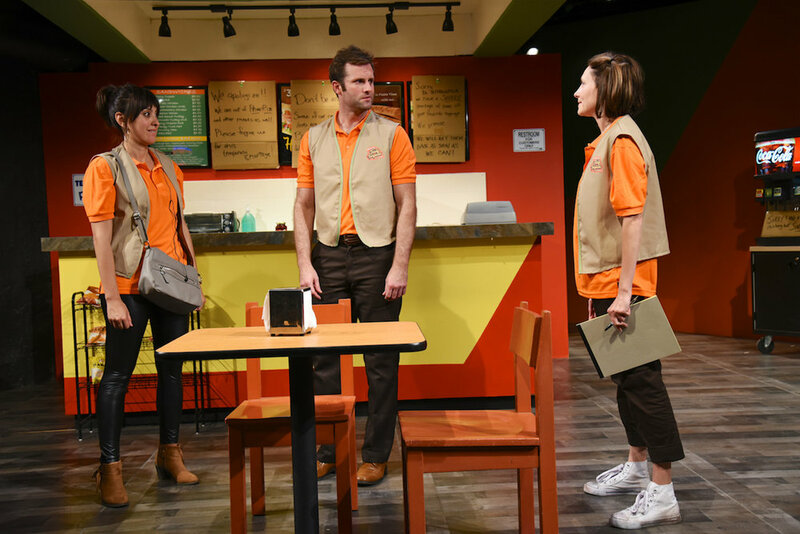 In 2014, IAMA earned the Ovation Award for Outstanding Play in an Intimate Theatre for its Los Angeles premiere of The Recommendation. In 2017, TV producer and creator Shonda Rhimes announced that she would become IAMA’s first-ever “Patron of the Arts” with a generous endowment from the Rhimes Family Foundation. 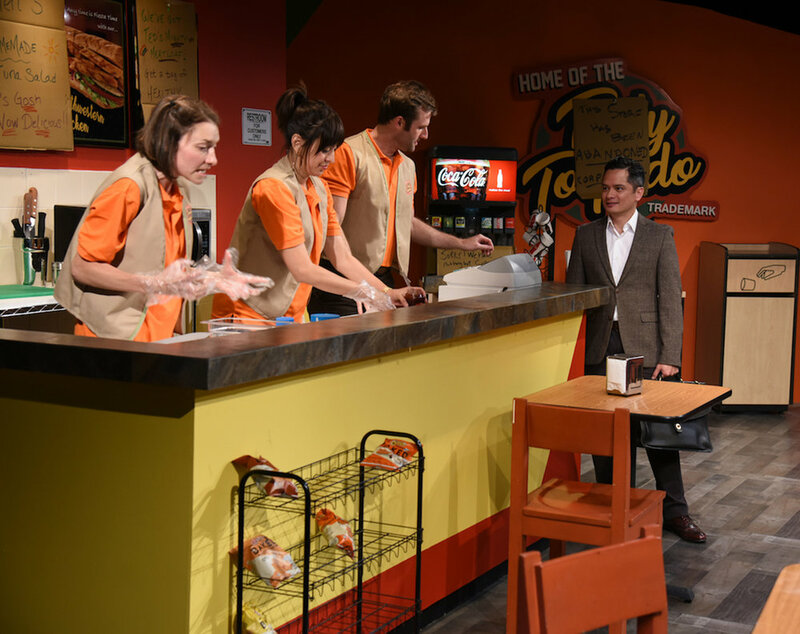 American Hero opens on Friday, Sept. 21 at 8:30 p.m., with performances thereafter on Fridays and Saturdays at 8 p.m. and Sundays at 7 p.m. through Oct. 21. Four preview performances take place on Saturday, Sept. 15 at 8 p.m.; Sunday, Sept. 16 at 2 p.m. and 8 p.m.; and Thursday, Sept. 20 at 8 p.m. All tickets are $30, except Sept. 21 (opening night) for which tickets are $40 and include a post performance reception, and previews, which are $20. The Carrie Hamilton Theatre at the Pasadena Playhouse is located at 39 S. El Molino Ave., Pasadena CA 91101.